5/31/2015 DETROIT, Michigan (May 31, 2015) - Burt Jenner of Los Angeles, Calif. won his second career SPEED Energy Stadium Super Trucks Presented by TRAXXAS race Sunday at the Detroit Belle Isle Grand Prix. Jenner and 17-year-old Scotty Steele of Peoria, Ariz. traded the lead four times on the final lap alone in a driving rainstorm. "This is just a dream come true," said Jenner, driving a black Gladiator truck to his third podium finish of the weekend and his first overall weekend victory in SST competition. "When I was growing up Scott Sharp was a teammate of my dad's (Bruce) at Roush Racing in Trans-Am, so Scott was always my guy growing up. When I got here on Thursday I was walking across the bridge and peeked through the fence to look at the cars on track and who would it be passing underneath us other than Scott. That was a surreal moment for me and I made me realize just how different things were than just a few years ago when I went to these races as a spectator. I knew then this was going to be a good weekend." Jenner's two third-place finishes on Friday and Saturday combined with Sunday's victory topped E.J. Viso for the overall weekend win. Viso, driving one of three LIVE/Think Loud Entertainment trucks in the field, won Saturday's race with Robby Gordon driving a SPEED Energy SST to Friday's win. Steele, who was also driving a LIVE/Think Loud Entertainment SST, backed up his comment Saturday that he loved driving in the rain by battling with Jenner the entire event in a torrential downpour with standing water in virtually every spot on the track. Like Saturday's race which was also run in the rain, vision for the drivers was almost zero all the way around the 2.35-mile street circuit given the spray coming off of the trucks in front. Keegan Kincaid from Crandon, Wisc. finished third in one of two TRAXXAS trucks, P.J. Jones finished fourth in a second TRAXXAS truck, Viso finished fifth, Detroit's Aaron Bambach in his 3 Dimensional.com truck finished sixth, Gordon finished seventh, Arie Luyendyk Jr. finished eighth with Charles Dorrance in the Sportsman's Finest truck and Bill Hynes in the third LIVE/Think Loud Investments truck rounded out the field. 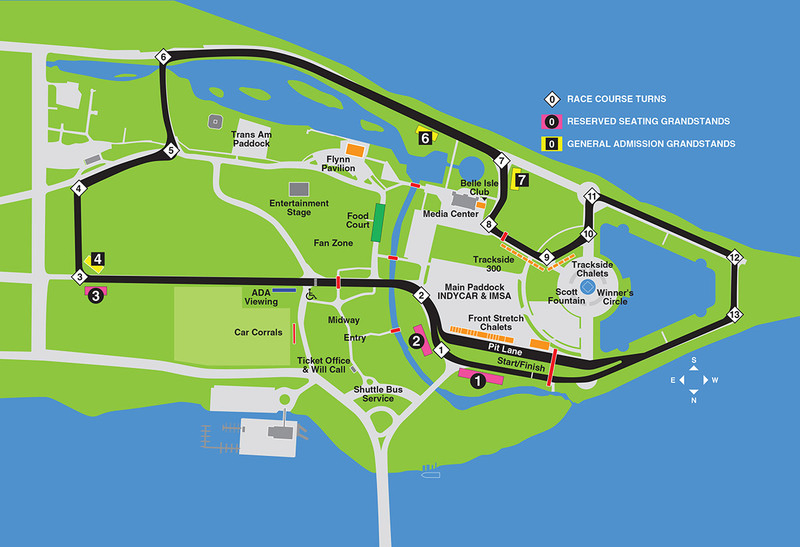 The race on the beautiful Belle Isle circuit was the ninth event of the SST season. The Stadium Super Trucks will part of X Games Austin next weekend in Austin, Texas before returning to their regular schedule at the Toronto Grand Prix in Ontario, Canada June 12-14.